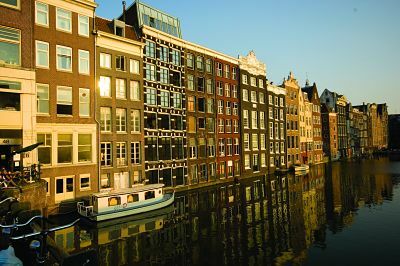 Amsterdam is one of the most striking cities in Europe, with its colourful flowers, streams of bicycles and of course its ubiquitous channels and bridges. Beyond its coffee shops and its legendary Red Light District, Amsterdam offers some of the best cultural attractions in the world, including the Rijksmuseum, the Van Gogh Museum and the Oude Kerk, Amsterdam's oldest building and oldest parish church. Be sure to stroll through Dam Square, the Begijnhof inner court and the Bloemenmarkt (flower market), but be mindful of tram crossings and bicycle commuters! 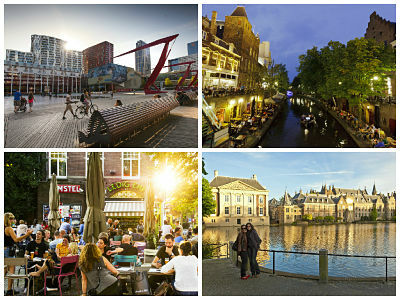 Amsterdam has more than 100 km of canals, about 90 islands and 1,500 bridges. You can follow the canals on foot or by bike, admiring the traditional architecture and stopping in for refreshment at one of the many coffee shops along the way. Take a ride on any of the regular boat lines and observe city life as you float by. Quaint houseboats, permanently docked on the shore, are another common sight in Amsterdam. Whether or not you are a died-in-the-wool art lover, you will truly enjoy this museum. 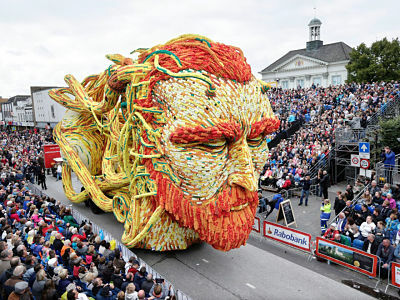 It houses the largest collection of Vicent van Gogh's paintings, with his life's work and artistic evolution carefully arranged on three floors. Famous works include his series of self-portraits, Sunflowers, The Bedroom and The Potato Eaters.